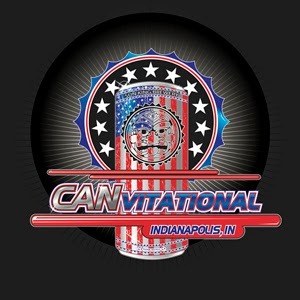 Hoosier Beer Geek: A Beer Blog for Indiana, from Indianapolis: Before Canvitational, get to know DC Brau! The Geeks are excited to welcome DC Brau to Canvitational once again this year. 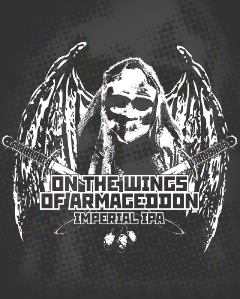 We are also stoked they are bringing On the Wings of Armageddon, Imperial IPA...it's one of our favorites. You'll be able to sample four brews at Canvitational. In addition to OTWOA, they'll also be pouring The Public (APA), The Corruption (IPA), and Pen Quarter Porter. Like a lot of breweries I know, we have a very eclectic mix of music BLARING from our speakers at any given time (I'm sure the post office above us doesn't appreciate it so much haha!). A lot of ska, reggae, metal, house, DnB, funk, and bluegrass gets played. Though I prefer my music in the key of F... F for funk. We love how far our local brewing community has come in the 3 short years since we've been open. The community continues to grow and we're proud to call DC home. With that in mind, we want to make sure that other drinkers and brewers alike appreciate DC's beer scene and consider our community as top-notch in the craft brewing scene as a whole. You could say we're elevating the status of DC, through beer. From the area I'd say Port City's Optimal Wit and Atlas Brew Works NSFW. Both great beers that we're lucky enough to have fresh. Although from outside the community, we're always game for some Cantillon. Hmm, this is a tough one. With so many fresh beers on tap its hard to pick just one. I'll say, though, that I normally go for whatever seasonals or one-offs we have. It's nice to switch it up. Lately its been Summer Solidarity, a collaboration session IPA with other local breweries for DC Beer Week. Not much else! We like good beer and good music. What else is there?